Hi! I’m Heidi Gwinn, and I blog over at Fifth and Plum. You can also catch me on Instagram; my username is @baileymarie04. 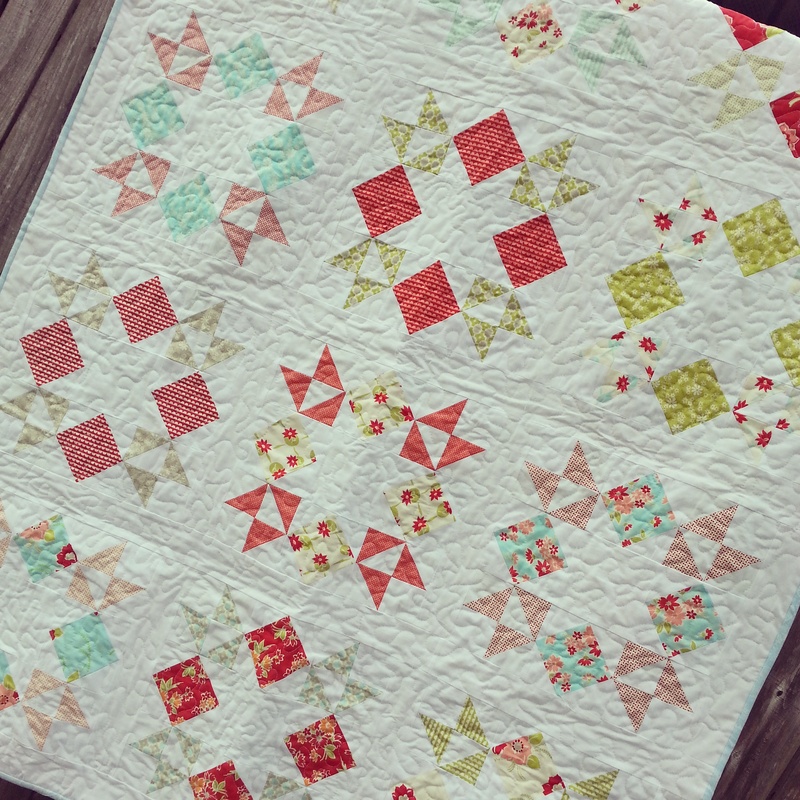 It’s my first time here at the Moda Bake Shop, and I’m so excited to share my Stacks of Stars quilt with you! Grab your favorite layer cake and lets get started! 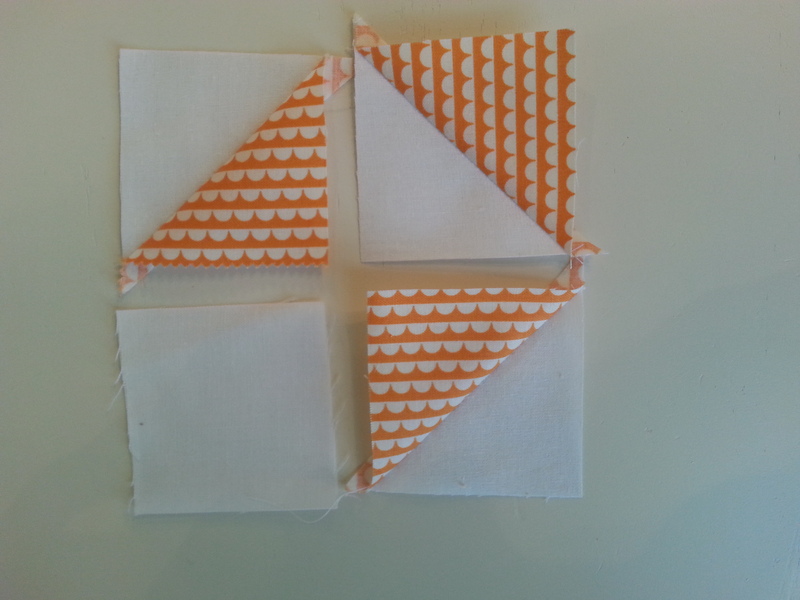 2 strips 4½” x WOF; cut these into (12) 4½” squares. 5 strips 2⅞” x WOF; cut these into (72) 2⅞” squares. 15 strips 2½” x WOF for blocks; cut these into (240) 2½” squares. 18 strips 2½” x WOF for sashing; cut 8 of these into (16) 2½” by 12½” strips. You will use six of the remaining 2½” strips for your horizontal sashing, and 4 for your vertical sashing. From your 24 layer cake squares, pair 2 together for each block. From 1 layer cake square, cut (4) 4½” squares. From the second layer cake square, cut (6) 2⅞” squares. You will also need 6 of your 2⅞” white squares and 20 of your 2½” white squares for each block. Take 6 of your solid white squares, and draw a diagonal line on the wrong side. 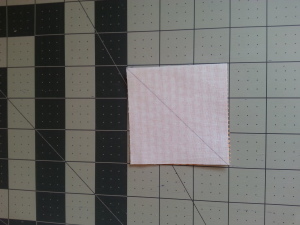 Place your marked square on top of your printed 2⅞” square that you cut from the layer cake, right sided together, and sew ¼” seam on either side of the diagonal line. Cut apart on the marked line, open, and press to make 2 pieced squares. Make 12 of these. Sew together 3 pieced squares and 1 white 2½” square as shown to make the corner sections of your block. Make 4. 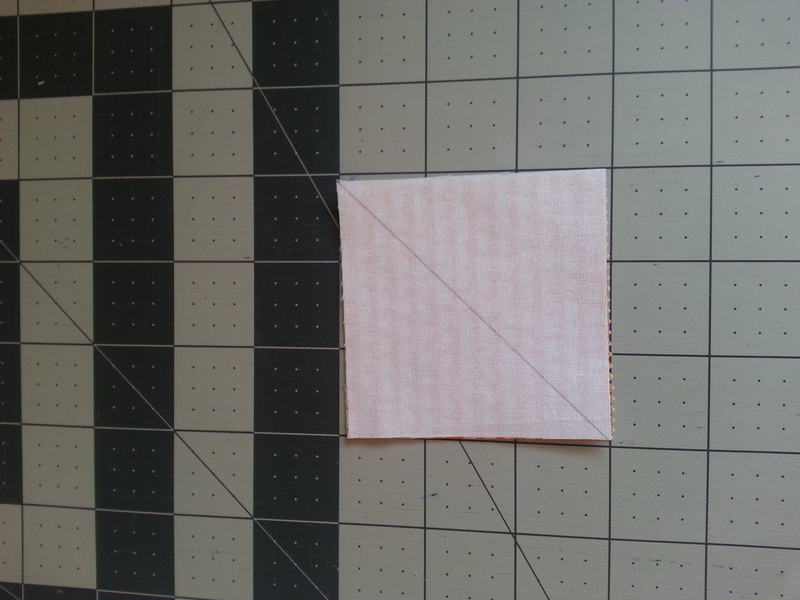 Now you will need (16) 2½” white squares. Draw a diagonal line on the wrong side. 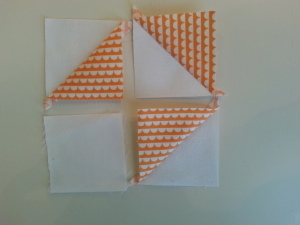 Place the marked square on the 4½” layer cake square, right sides together, and align the raw edges. 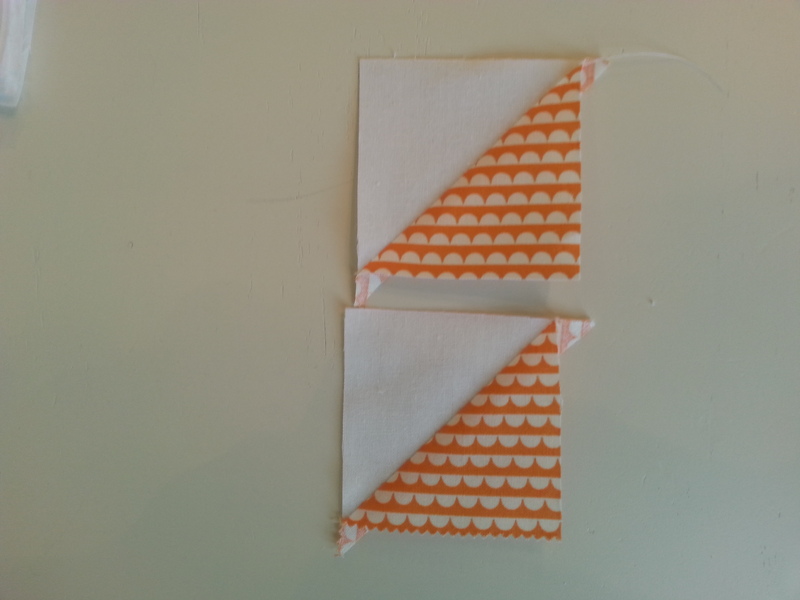 Sew on the diagonal line, then trim the excess fabric. Open and press, then repeat on all of the remaining corners of the square. Make 4. 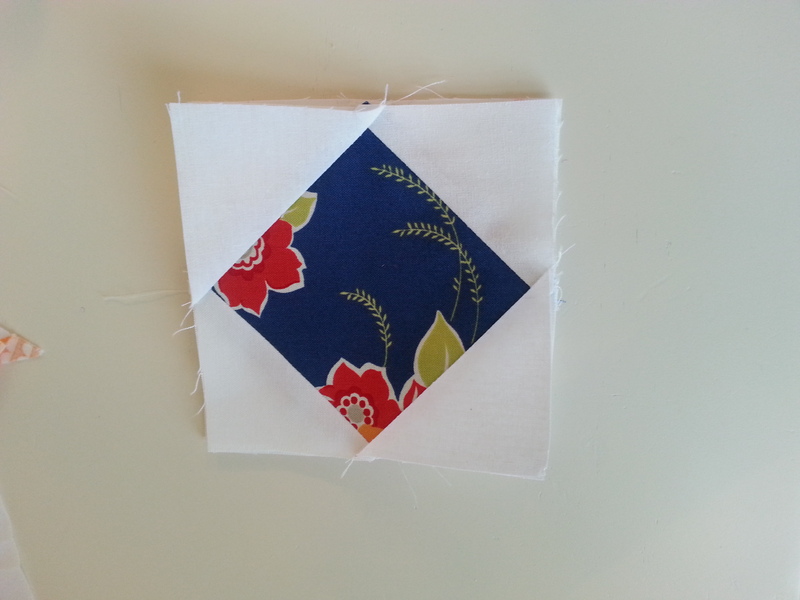 Sew the corner units, side squares, and the white 4½” square together to finish your block. 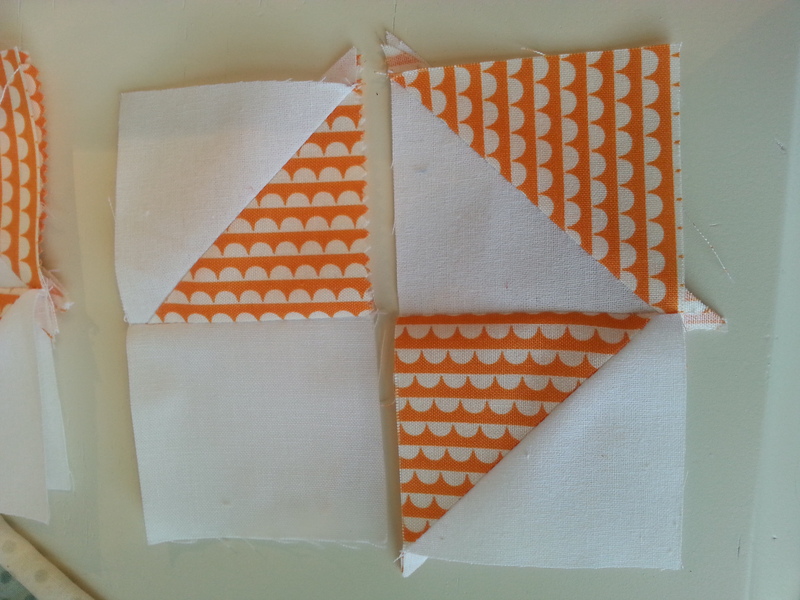 Repeat with your remaining layer cake square pairs to make a total of 12 blocks. 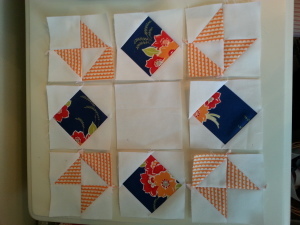 Decide on the layout you would like for your blocks, and then sew a 2½” by 12½” strip to the left side of each block, adding a strip to the right side also of the last block in each row. Press seams open. 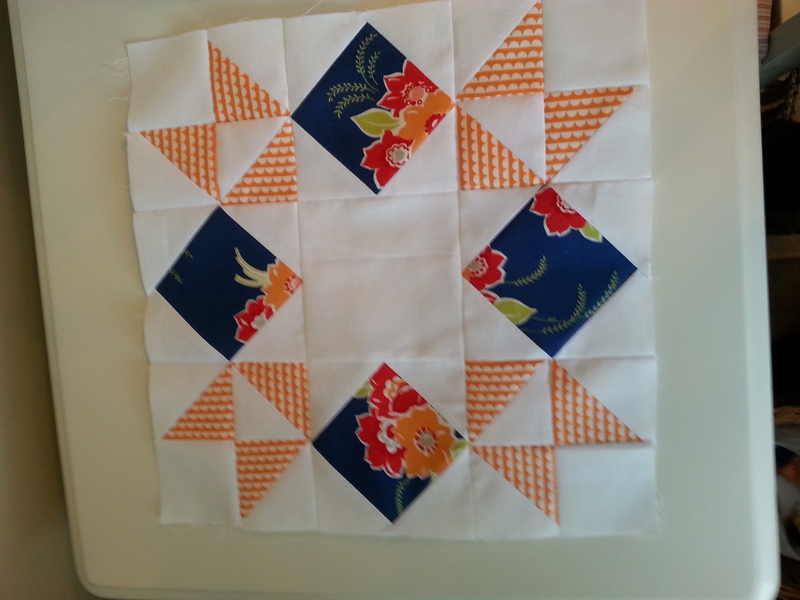 Measure the width of your rows, and piece together 5 strips 2½” by the width of your quilt. (Mine was 44” wide at this point.) 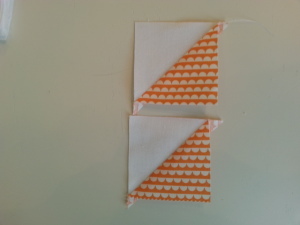 Sew your strips to the top of each row, adding a strip to the bottom also of the last row. Press seams open. Now measure the length of your quilt top, and piece together 2 strips 2½” by the length of your quilt. Sew these to the sides of your quilt. Press seams open. 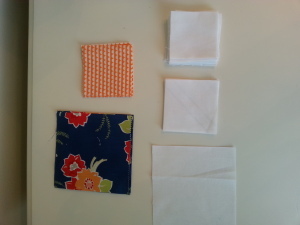 Prepare your quilt sandwich and quilt as desired. One 44″ x 58″ lap quilt, perfect for relaxing on the couch! 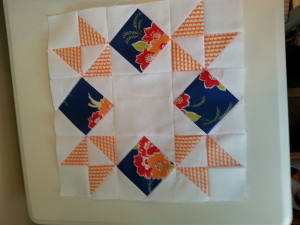 This entry was posted in Layer Cake, Moderate, Quilt and tagged Bonnie and Camille, Fifth and Plum, Miss Kate. Charming design, lovely quilt. 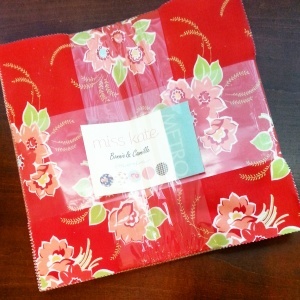 This a beautiful idea for some fabrics in my stash, now I need to do some math…. Thank you! I hope you tag me if you ever make it! Very pretty, and so adaptable. Thank you! This is beautiful! Thank you so much for the tutorial! Thank you Lisa! You are so welcome! I love this. I am printing it out now and going to get to work. Thank you! 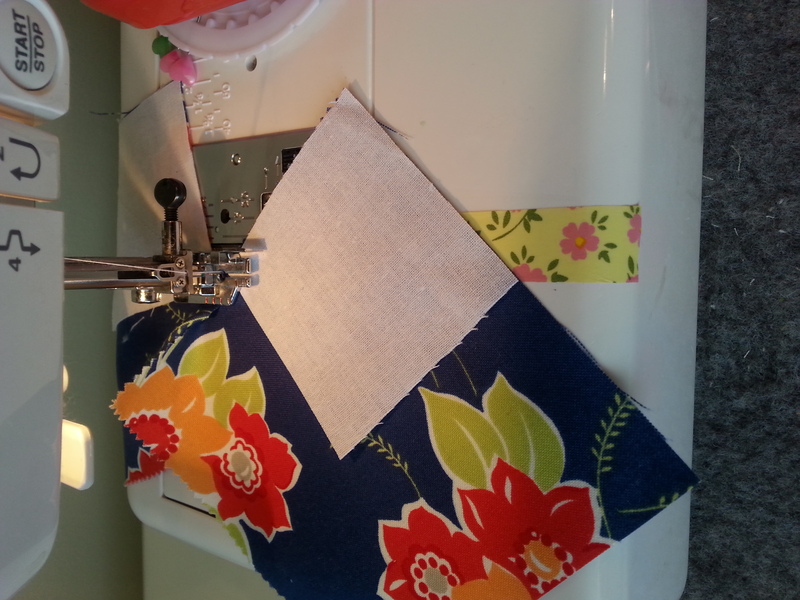 Enjoy your quilting! Love love love this!! It is going to be my next quilt! Thanks for sharing. Thank you! I hope you share a picture of it! I love this quilt. Thanks for the tut .. This quilt is in my future, I just know it. Beautiful, happy, and looks fun to sew! I definitely want to make one. Welcome to the Moda Bake Shop, Heidi! Thanks Amanda! I completely understand the never ending list! 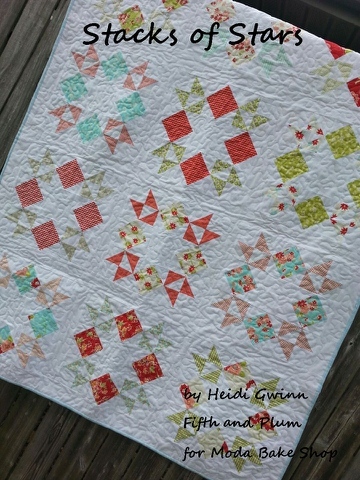 This is such a cute quilt, Heidi! Congrats on being featured on the Moda Bake Shop, too. I really want to make this quilt! Thank you Elaine! I hope you do make it! I absolutely LOVE star quilts. This one is so great, I really love it! Suddenly it’s my next project. No going on my to-do-list. Oh, no. It’s zoomed past all the other ones on my insanely long list to the start-this-week position. 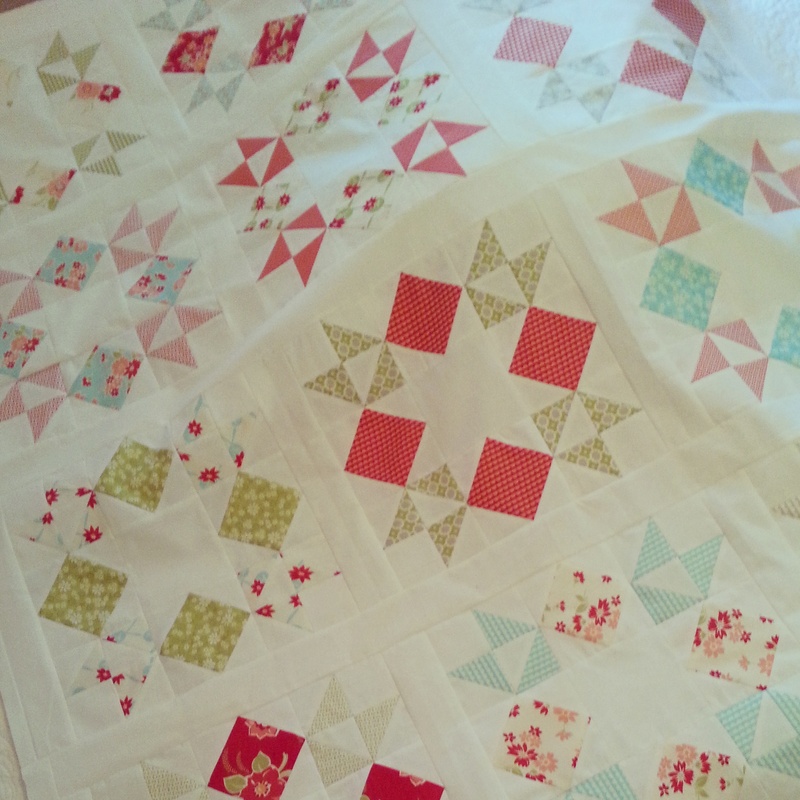 Thank you for this beautiful quilt that I’m going to make my own! Thanks Cyndi! I hope you enjoy it! Note sure if you noticed, but it appears that there is an error on the URL to the Fifth and Plum blog. I think it’s supposed to be http://fifthandplum.blogspot.com/.